college | "El Milagro Weblog"
I’m honored that the Association of California Schools Association (ACSA) positioned my article right up front in their September-October issue of Leadership Magazine! We’ve done some good work at Bayfront and Mueller. Much more to do. We are El Milagro. All schools have a choice. My schools have a choice. Bayfront Charter High School and Mueller are at a familiar crossroads, and the world is not waiting. On January 20, Trump will begin to govern as he promised and we can prepare our students to compete in that game or we can soldier on—business as usual. And as usual, we ain’t taking that chance. Inside my building are Latinos, immigrants, girls, African Americans, LGBT kids, Moslems, Jews and children of democrats. At least that describes 99% of them. And of those, 85% qualify for the free federal lunch program on the basis of their parents’ income. They are–if we falter– the next generation’s working poor. And they are all in our new government’s crosshairs to either deport or demoralize. America’s educational system has experienced multiple defining moments during which sweeping social or political events have led to ideological and transformational change in the direction of our schools. In the earliest days of our country’s founding, there was a clear religious motive behind teaching kids to read. As waves of Christians colonized the new world, they brought their Bibles and handed down their favorite verses to children who were expected to spread the good news. After the Revolutionary War and the subsequent ratification of the US Constitution, our Founders banked on an “informed citizenry” to nurture and grow the new experiment in democratic governance . Fast forward 100 years and the industrial revolution churned kids out of farms and prairie schools and into factories that prepared kids for the factories. Then in 1958, the Russians launched a rocket into space, and the subsequent race to the heavens was on. Sputnik scared the crap out of America’s post-WWII “Greatest Generation” who realized in the span of one evening newscast—that their kids had somehow been passed up in math and science. So the education pendulum swung to math and science with a vengeance—and schoolkids paid. Then there was the Civil Rights era. The malaise of the 70’s. Forced desegregation and bussing and waves of white flight to suburbs and private schools. And education was the medium for maintaining the sociocultural and economic advantage that was a perceived birthright of white families. The ominous warning of “A Nation at Risk” in 1983 unleashed the pendulum again. Reagan’s ‘rising tide of mediocrity’. Then the Apple IIe drove a whole generation of post-Viet Nam War era teachers to ask “what am I supposed to do with an Apple IIe?” And they used them as door stops on the theory that this too shall pass. By the early 2000’s Bush had appropriated no child left behind from the Children Defense Fund and we were awash in still another pet project of Republicanism: “back to basics” and the core belief that what we really need to do in schools is just test the hell out of kids and fire the teachers and the schools that can’t produce evidence of extraordinary achievement. Public education. America’s whipping boy. Always something. George Bush’s “soft bigotry of low expectations” has given way to trump’s straight up, bold-face racism. And our students have heard every word. What is the purpose of schooling in a trumpian culture where bluster and lies and bullying and misogyny are rewarded with keys to the White House; when shadowy election schemes and gerrymandering and voter suppression and an archaic electoral “college” are intentionally designed to undermine democracy; when in 2016 it is harder for citizens to cast their ballot then it was in the era of poll taxes and literacy requirements; when it is impossible for citizens to believe that their vote is even really counted; when half our nation considers it anarchy to remind ourselves that black lives matter? If you place a frog in a pan of hot water– he’ll jump right out. But if you place that same frog in a pan of cold water, then bring it gradually to a boil—he will be oblivious to the changing temperature. Pretty soon it’s too freaken hot to jump! Our schools move too often like the boiling frog. They wait until it is too late to jump, and for our children, even generations at a time, the results are fatal. One thing this past election has taught us is that our students need the skills to navigate a massive sea of propaganda and misinformation that seems to routinely persuade the adults to vote against their own best interests. They need a discerning eye that separates entertainment from “the truth”; that rejects Facebook’s brand of political discourse and revives the tradition of deep critical thinking and informed debate. They need to compete in a workforce that demands higher levels of thinking, innovation, and entrepreneurialism. They will need to find their generation’s “true North”. And then their voice. And then a spirit of activism which is in their DNA: empathy, vigilance, authentic patriotism, and advocacy for others. Our kids will need the armor of resiliency– in the face of an apparent national sentiment that their success, their future…their very lives may not matter at all. Beneficiaries of learning that is confined by neither time nor space. In defiance of who this president promises to be, we will be proactive. The water’s on the boil… but our children rise. Sometimes we have an idea… and we search for a pathway to bring that idea to fruition. And sometimes we don’t. And sometimes our ideas just roll off the edge of the keyboard like once-familiar coins that have long since lost their shine. So that drive along Bay Blvd. last October was not one conducted with any great promise. There was no urgency to find this building– dropped so neatly by the side of the road. There was no expectation. I was just driving– and sometimes that’s all it takes. I wonder if the universe reached into the driver side window and grabbed the wheel and pulled me to the curb. Or whether it was the building itself. Or the magnetic force of ideas stacked for years and waiting to take wing. Seabirds…pinned to the wind and pushed as if flying sideways would always be their lot. 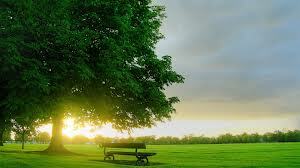 But then in instant those ideas are all set free… because that is what we live for. 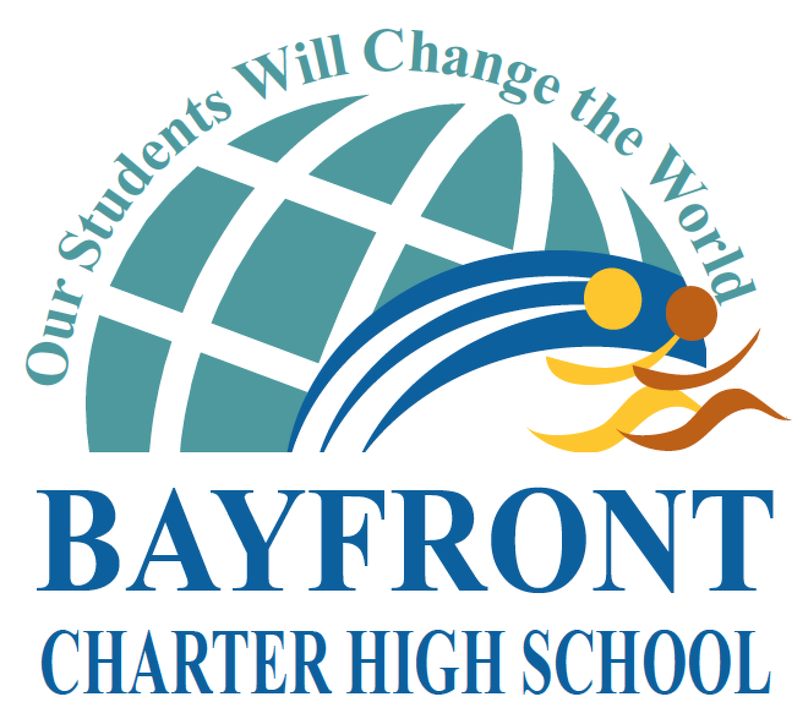 So I was in the moment and Bayfront Charter High School was born. By providence. United States University is a half mile away from El Milagro. 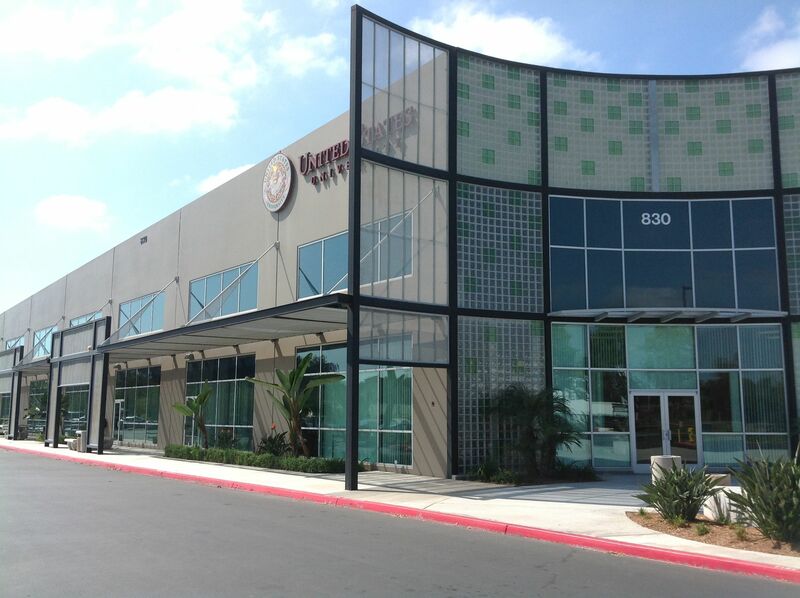 It is a newly renovated 30,000 square foot building with 18 colorful classrooms, and meeting spaces. They are a small private university that caters to working adults. 75% of their students are on-line and the rest come at night. They could have leased a double-wide storefront in the strip mall; built a one room virtual schoolhouse sandwiched between 7-11 and the beauty supplies. But they didn’t. They rolled the dice on a business model built for agility and open to change. And that decision contributed to Bayfront Charter High School, too. So there it sits. A gorgeous building with exquisite functionality– architecture in search of its own meaning along an undeveloped bay front– and instantly, it became the face of a dream that had been incubating for years. In 2007 we launched our middle school called Mueller Charter Leadership Academy (MCLA) because it broke our hearts to graduate six graders and send them off to a two-year under-performing school that was public education’s answer to purgatory. The traditional middle school is that two year wasteland that promises neither rigor nor relationships. So we built our own bridge and by-passed it all together. Then we started to take a closer look at the comprehensive high schools with nearly 3,000 students. In those schools kids have to compete for every inch of support. They compete for attention, for opportunities, for services, for lunch, for access. They compete to get into the freaken rest rooms. Maria went to one of those neighborhood high schools and was told by a counselor that she needed to go to the community college because her grades weren’t good enough for a four year university. She disagreed and today she is a sophomore at USC. Aldo was the class valedictorian last year but they decided not to let him deliver the valedictorian speech because it didn’t conform to their expectations. He’s at Dartmouth. Jose’s parents called multiple times to speak to a counselor and were consistently instructed to leave a voicemail message. They never called back. Alejandra wanted help in her math class– but the tutoring times she was given by her teacher were actually the teacher’s lunch time. And he ate lunch in the faculty lounge. We decided that if these high schools aren’t going to teach the students that we send them– if they are not going to inspire and lead and love and counsel and advocate and push and support and celebrate the children we have invested nine years in– we will take them all back. And we will do it ourselves. But this building had to fall out of the sky on that October morning in order for us to do that. And then other stuff had to fall out too. And so it did. 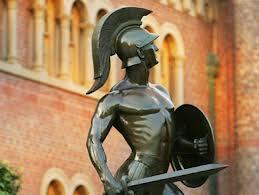 And now its March and we are on schedule to open the doors in July to our first 150 freshmen. The Class of 2018. El Milagro grows. Bayfront Charter High School. As a product of the school system in mainland China, he is perfectly positioned to remind Americans that our advantage in the global economy is our innovation, our creativity, and our knack for entrepreneurialism. So I was a little surprised by his recent post about the Common Core State Standards and all the misinformed commentors who piled on in the anonymity provided by a typical blog debate. • What makes one globally competitive? • Can you be ready for careers that do not exist yet? • Are the Common Core Standards relevant? • Does Common Core support global competence? • What opportunities we may be missing? His collective answers to these would suggest that he doesn’t think so. But I have actually read the Common Core State Standards and monitored the developments of the new assessments, and respectfully disagree. • Are the 21st Century skills—including the ability to be “creative and entrepreneurial”— essential for our students? • Would you favor a return to the era of no standards… where educational quality and academic outcomes were solely left to the interests and whims of individual teachers and learning was optional? • Is the ability to think deeply, read closely, invent, create, collaborate and apply their learning essential for educated citizens of our global society? • Are these skills what you want for your own children? • If this is not what is called for in the Common Core State Standards—what is? Five Workplace Competencies: Interpersonal (including teamwork and leadership), Managing Resources, Information, Systems, and Technology. For more than a decade, many progressive school systems relied heavily on the recommendations from the SCANS report as they defined their own standards for students. Then NCLB began testing for only one component from SCANS (basic skills in reading and math) and the rest gradually disappeared. Many of us who are actually leading in K-12 public schools remember the SCANS report and have been arguing that NCLB does not prepare children to compete in college or eventually become contributing citizens to our world—global or otherwise. 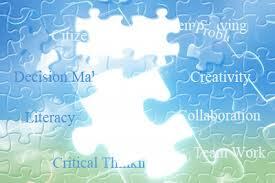 We have warned that missing from the current basic skills pablum is an equal passion and reverence for creativity, invention, authentic thinking, teamwork, complexity, initiative, perseverance, LANGUAGE… and relevance. Not just “content” standards in basic skills… but “performance” standards that are authentic and empowering. 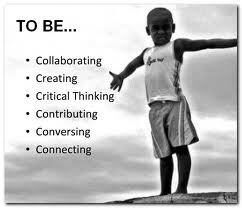 In the 21st Century we call these 21st Century skills and colleges and employers are still looking for them. To counter the race to the bottom over the past decade, I have advocated that our teachers infuse 21st Century Skills into everything they do. With Common Core and the assessments currently being developed, this is exactly the curriculum we will shift to. So all the drama around “common” state standards across the country is puzzling. Sort of. It is apparent that many of the individuals who argue (at least in blog threads and twitter) against the Common Core state standards– haven’t read them! “Standards” do not equate to standardization. They don’t compromise local control of schools. But they do set a high bar which every student will have to eclipse no matter what else local schools want to do. To me, it’s an issue of equity. Dr. Zhao is fully aware that Americans eschew standardization. But he fails to address that thorny little problem we have with differences and diversity. 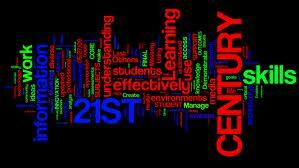 We ought to excel at 21st Century skills! But America’s potential global advantage in education is also our greatest weakness. 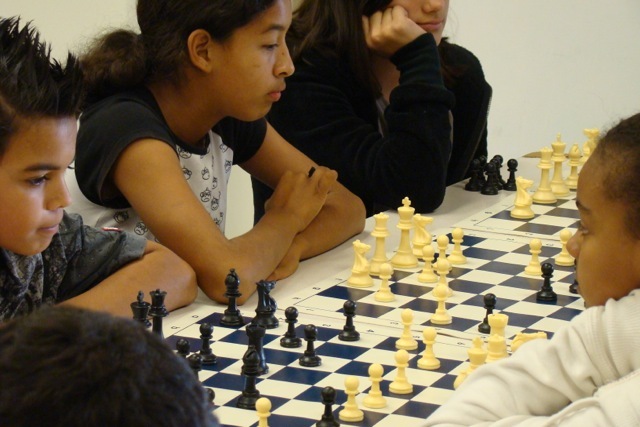 We have the most diverse student population on the planet, but have failed to develop a school system that simultaneously celebrates each child’s uniqueness while insuring that every student has fully developed the skills they need to compete at any level and any walk of life they choose. The public school system has been designed to never change… and so it rarely does. Thus, the achievement gaps that reveal disparities in terms of race, ethnicity, native language, and in some areas, gender have not gone away. This is where a profound difference between Common Core and the “accountability system” engendered by NCLB is apparent. NCLB is a punitive system that is not focused on what children actually need to be successful in their lives. In many ways it was created to expose public schools as ineffective, and drive institutional change through unfunded mandates and threats. The result – for all the wrong reasons– was a hyper-focus on multiple choice testing and test prep in a narrow band of the curriculum (basic skills in reading and math). No wonder the teachers in Chicago went on strike to protest the use of test data in their evaluations. No wonder the teachers at Garfield High School in Seattle staged their own little Arab Spring and refused to administer the MAPS assessment. No wonder parents are standing behind their classroom teachers. No Child Left Behind targets educators. The Common Core, on the other hand, re-focuses our schools on the needs of children. With the stated emphasis on college and career readiness—(What Workplace Requires of Schools)– it has “north star” potential in the quest for the uniquely American concept of equity. If implemented with integrity, it will assure that every child, in every community, has access to a highly trained teacher and a curriculum designed to promote 21st century skills. Dr Zhao asks rhetorically: Do we want individuals who are good at taking tests, or individuals who are creative and entrepreneurial? As if we have to choose between the two. If the vision of common core is realized, we will have both. Our students should excel at taking authentic tests that are as innovative as we expect American kids to be. And in the spirit of local control, that is exactly the vision of El Milagro. WHAT IF HOPE WAS A NATIONAL PROMISE? So we are down in Georgia attending a community charity event for Intuit. I didn’t bring my laptop so I am writing this post from my phone. No pics today… just this thought: what if the “free and public education” system extended into college? Like here in Georgia. Clay told me that every graduating senior in the state is eligible for the Hope Scholarship; if they maintain a minimum GPA, and get accepted into a university in Georgia, all tuition is covered! An awesome program. I wonder how many states offer their kids the same promise? How many kids take advantage of it? How far has it gone to bridge the sociology-economic divide? How do high schools tap into the grant and get their students on college campuses EARLY? I wonder… what if the $30 billion a week spent on war… or the $ trillion-plus investment into the pentagon… or the one million dollar a year per soldier… was invested here… for our kids… in our universities… to make college affordable; To make colleges and universities more accountable for the quality of their teaching? Like K-12 schools. No College Kid Left Behind.